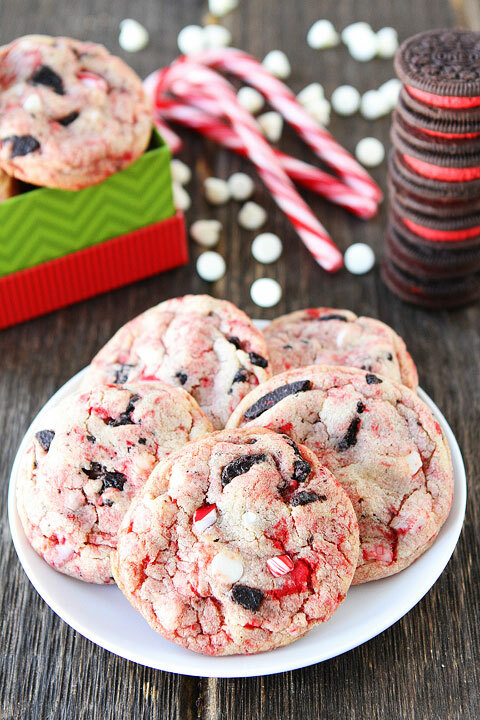 Soft white chocolate pudding cookies with holiday Oreos, white chocolate chips, and candy cane pieces! Everyone loves these festive cookies! Preheat oven to 350 degrees F. Line a baking sheet with parchment paper or a Silpat baking mat and set aside. Visit Oreo White Chocolate Pudding Peppermint Cookies @ twopeasandtheirpod.com for full directions.